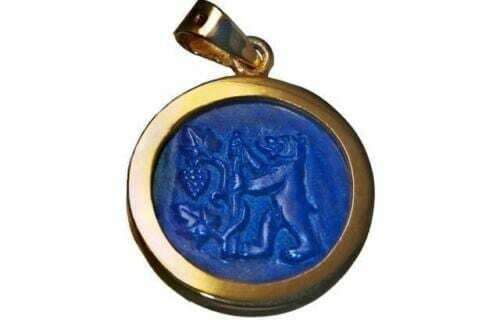 Special Lapis stone For Thevans. 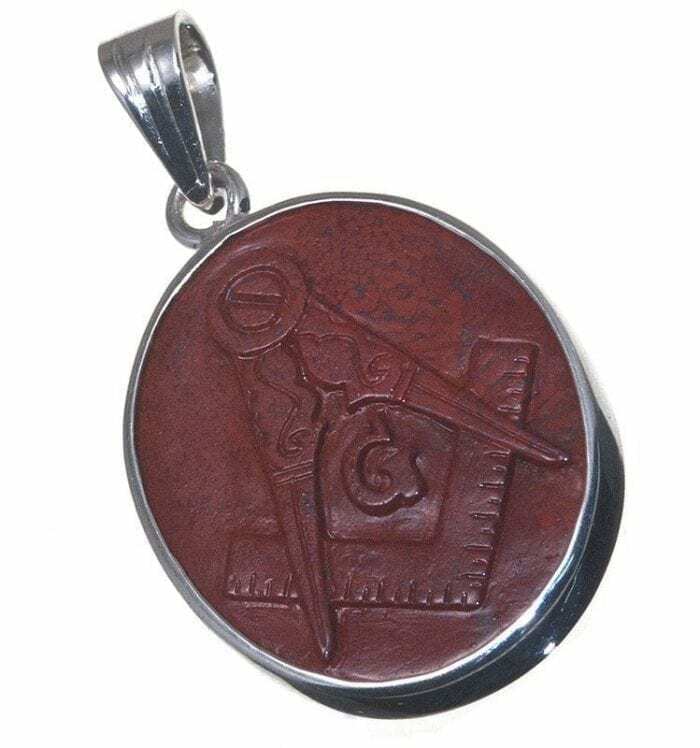 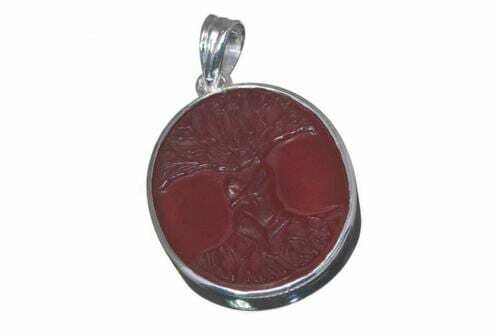 We hand sculpted a set square and compass from an oval of rich ruby red high quality red jasper held in an open backed sterling silver encasement. 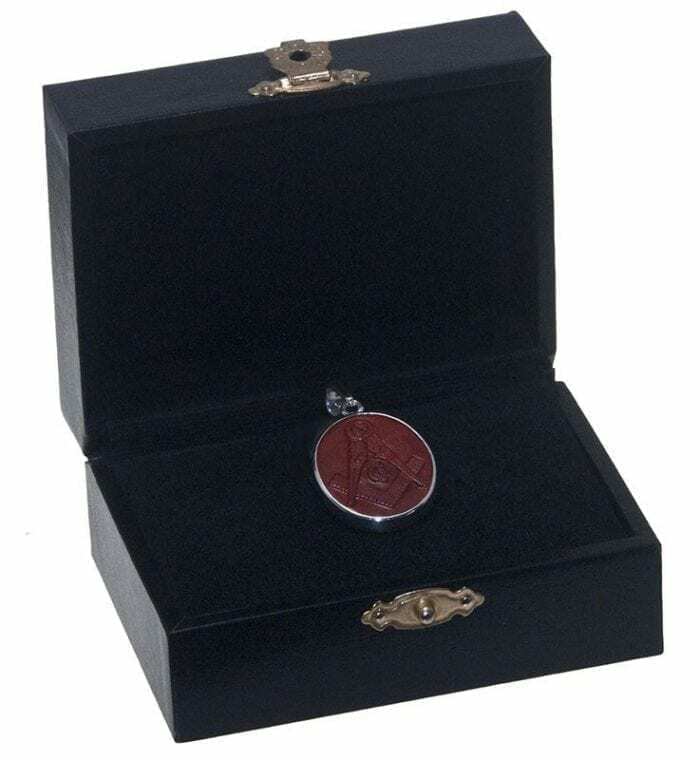 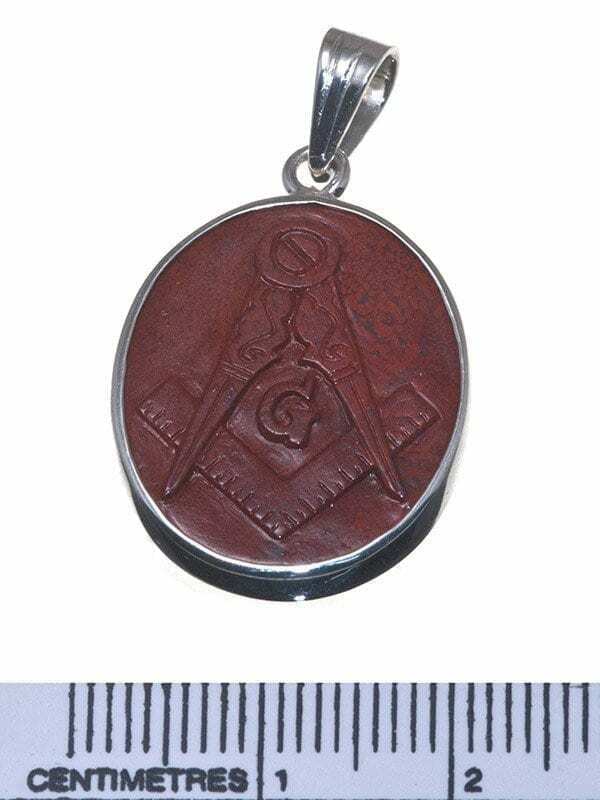 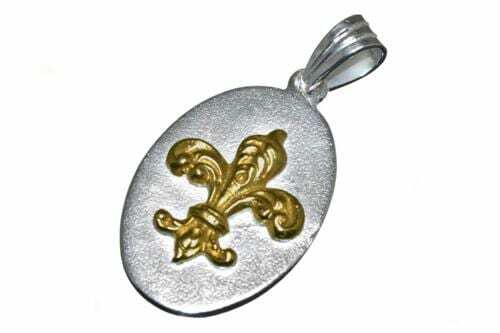 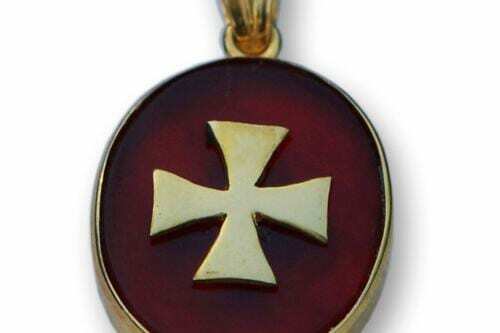 This interesting pendant with its masonic design is suitable to be worn by ladies as well as men.